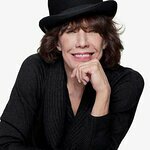 Ahead of a key legislative vote this week, actor Lily Tomlin sent a letter to voice her support for the Circus Cruelty Prevention Act, which would prohibit circuses and other traveling shows from using wild and exotic animals in California. “I’ve been in the entertainment industry for decades, and I know the importance of listening to your audience,” she wrote. "It’s 2019, and Californians can no longer tolerate terrified animals kept captive, tormented, and forced to perform tricks. That’s why I support SB 313, the Circus Cruelty Prevention Act. “I love performing and couldn’t imagine doing anything else — but when I step on set, it’s my choice. Animals condemned to a life on the road with a circus have no say in their exploitation. Circuses continue to abuse elephants and other animals, subjecting them into a life of pain and soul crushing captivity. These innocent animals are broken, physically and psychologically, and forced into a life that is completely unnatural to every fiber of their being. We are better than this. Animals deserve better than this.